The Launched series focuses on new Canadian books by Canadian authors. In the first instalment, Carrie Snyder interviews Laura Rock Gaughan about her new book, Motherish. 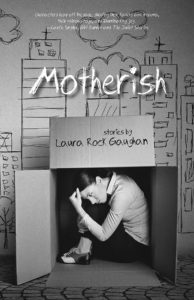 Laura Rock Gaughan’s debut fiction collection, Motherish, was released last month by Turnstone Press. We conversed back and forth during the past few weeks, as she celebrated her book’s launch at several successful events, and travelled to New York City with her daughter. Here is our (somewhat condensed) interview. How long have you been at work on these stories? Longer than I'd care to admit. The first story published in a journal appeared twelve years ago. I've placed fiction steadily since then, as well as some non-fiction. I tend to be a slow writer, which used to bother me quite a lot, but now I accept that sometimes a story has to lie dormant, and then an idea will come that resolves a problem on the page, or gives me a fresh angle from which to proceed. When did you realize you were working on a collection of stories? It took me a while to see a through-line in my preoccupations. There were all these mothers and pregnant women and babies. Also, motherish caregivers, relatives, and employers. I was intrigued by all the expectations women have faced and continue to face around motherhood. And how mothering can be an expansive, sometimes shady, verb—caring, as well as influencing and controlling. I had the stories first and then began to see them as a collection based on that idea. You mentioned the word “motherish,” using it as an adjective for caregivers, etc. ; and of course that’s also the title of your book. What does Motherish mean to you? My daughter coined the term "motherish"—as far as I'm concerned, it was her—as an insult. There was a moment when her sister was being overbearing, and she said, "That's pretty motherish of you." The word stuck in my head. I like its lack of certainty, and the way it critiques received notions of motherhood. Generally, I'm attracted to -ish. The ambiguity, the grey area—fiction's territory. Motherish is your debut collection of stories. I know it's early going, but can you talk about what it means to you to publish a book? I think the best way to describe my feelings (so far) about publishing my first book is quietly happy. Oddly low-key. Of course, I'm thrilled to have a book, something I've worked toward for a long time. Having gone through the whole process now, I feel more confident about approaching the next book. And people have sent me lovely notes about the stories—I wasn't expecting that. It's a wonderful feeling. So, that's all great. On the other hand, while I revere books and always wanted to publish one, for me it's all about the text. Is the writing happening, and is it working on the page? That's what matters, ultimately. I'd like to ask you about the way you embody different characters in Motherish. How does a character find you? What is the process of discovery like for you? It varies. Some stories begin with an anecdote or scrap of conversation that has stuck with me—or a person. "At the Track" and "Leaping Clear" feature characters that are loosely based on my grandmothers. Creating fiction means that almost all the details change along the way, but I can still hear their voices when I read the story, and that is a comfort, now that they're gone. Maybe preservation was part of the motivation for writing, I'm not sure. For other stories, like "Maquila Bird", it's a mystery how a character arrives. I visited maquiladoras as part of a previous job, and I've thought a lot about labour rights, and handicraft versus mass production, but Maru is entirely invented. Except for her name—I met a Mexican woman, long ago, named Maria Eugenia, and her nickname was Maru. I always liked that name. I kept it in the story, even after the emergence of Maru the anime character and Maru the famous YouTube cat. What is the value of this act of imagination—of inhabiting and writing inside of someone different from yourself? Are there characters you wouldn't choose to inhabit or stories you wouldn't choose to tell? How do you know when a character/voice/story belongs to you? I have more questions than answers about this. Fundamentally, I think the value—beyond whatever artistic value exists—lies in cultivating and exercising empathy. Not unlike reading widely. Understanding the other. Whether we can succeed when we try to embody a character far from our own circumstances is another question. I do ask myself, Can I tell this story? on a regular basis. And yet, I don't think any character/voice/story belongs to me. It's a version, an attempt, and someone else will do it differently. Diving into unfinished stories and a longer project. And I'm thrilled to announce that I'll be interviewing Canadian authors for TNQ. Visit this space soon for Launched, a regular column focused on new Canadian books. 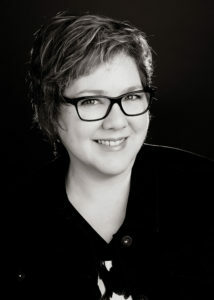 Carrie Snyder is the author of three books of fiction for adults, most recently, Girl Runner, and two books for children. 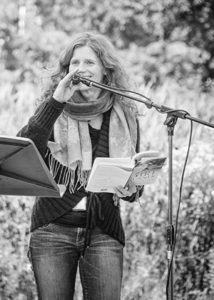 She teaches creative writing at the University of Waterloo, and lives in Waterloo, ON with her family.